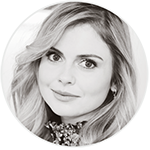 I’m happy to announce that RoseMcIverSource.Net and RoseMcIverSource.Net/Gallery have a new layout! Theme base both by the very talented brxvxdo. Be sure to take a look at all the site, i’ve made some update on her biography, filmography… Enjoy!